Sapareva Banya (southwestern Bulgaria) is a fascinating small town situated at the foots of the Kabul part of the Rila Mountain. It lies 75 km away from Sofia and seems to be forgotten by the nature lovers, despite the fact that here passes one of shortest roads leading to the Seven Rila Lakes. Millions of years ago boiling hot spas gushed out in this mountain valley. Germanea (the Roman name of Sapareva Banya) had been one of Emperor Justinian's favourite places. 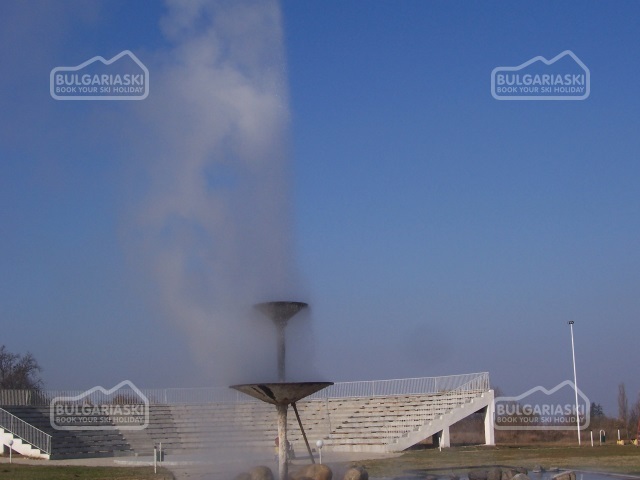 Today, the ruins of the three ancient gates can be seen between the Geyser, the mineral bath and the balneosanatorium. In 1951 Prof. Teofil Ivanov made the first excavations in the region. The ancient settlement of Kremenik dating back to 5,000 BC is situated near the town. Except for the excellent conditions for balneotherapy the region of Sapareva Banya boasts wonderful natural sites, situated at different altitude. 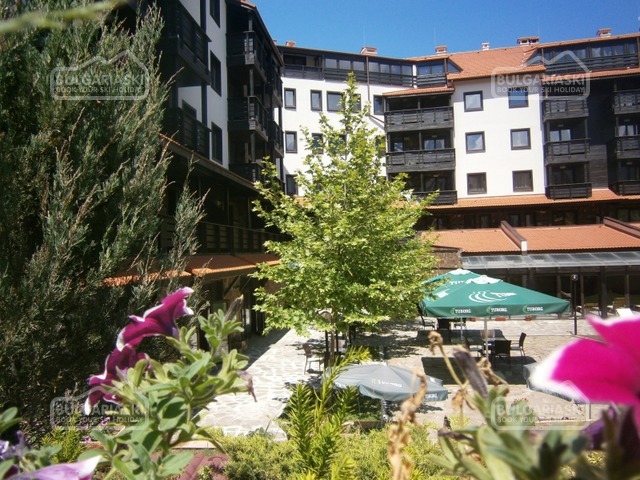 There are enthusiasts who walk all the way from Sofia to this part of Rila, passing through Vitosha and Verila mountains. The challenging trip takes some two days but it's well worth the effort. Panichishte lies at some two hours distance from there. 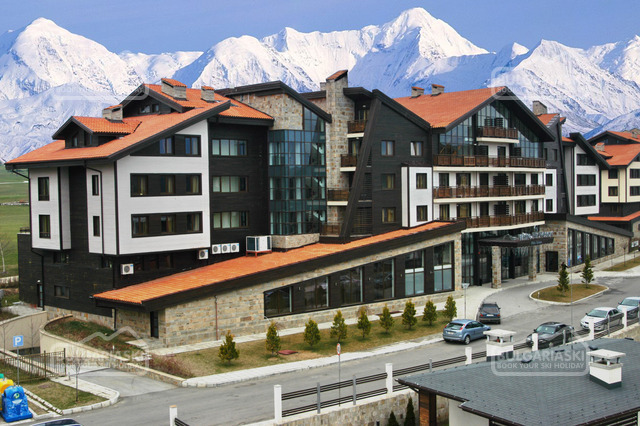 In the town tourists will find hotels, restaurants and several good and not too busy ski runs. The longest of them - 700 meters - crosses the slopes of Tashmandra peak. Several kilometers above the resort the road ends. If the winter weather allows, one can reach the place by car. Not far away is the entrance to the smallest reserve of the Rila National Park - Skakavitsa. It spreads over 70 ha at an altitude of 1850m to 2050m. The Skakavitsa Lake is situated 2162 meters to the southeast of the Kabul Peak. If you decide to go there in a snowy weather, you must have information about the condition of the paths and the avalanche hazard. Tourists must not start along this route, if they are not well prepared and do not have good equipment. The hike takes only 2-3 hours and the surrounding scenery is breathtaking. Please, post a comment on Panichishte Ski Runs.